Get years of wear from this heavy leather belt. 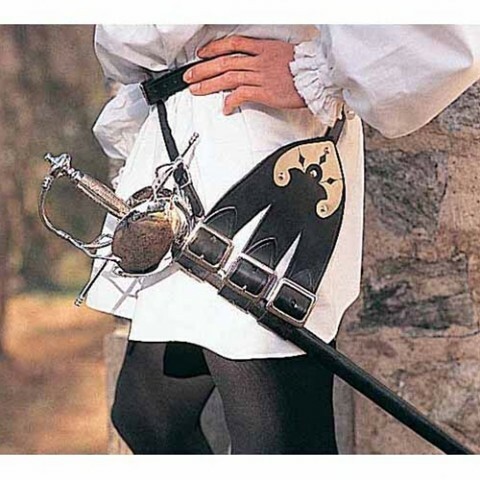 Three large adjustable straps allow for a variety of sword widths. Trimmed with metal for a bit of dash. Accomodates scabbards 5cm wide down to 3cm wide. Comes in black leather with steel hardware.